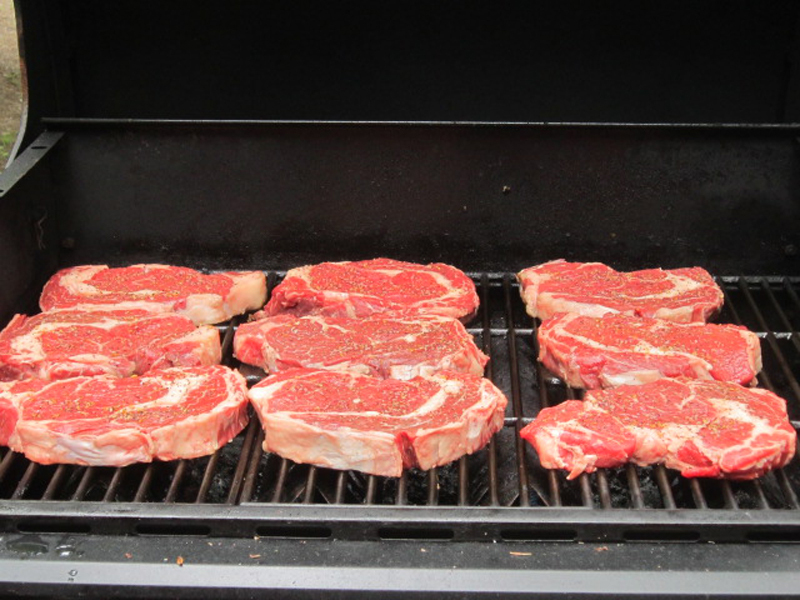 We have 6 cabins and a main lodge to accommodate a maximum of 15 guests per week. 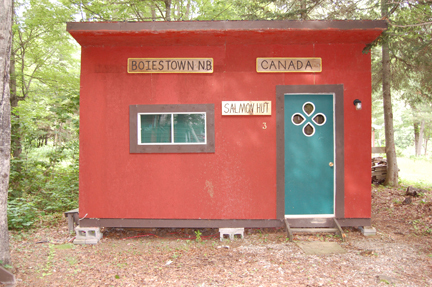 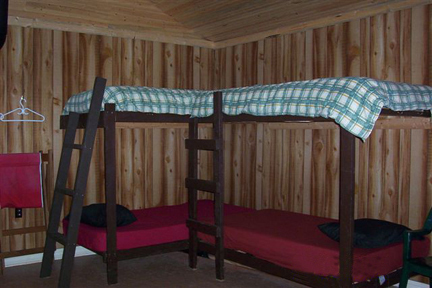 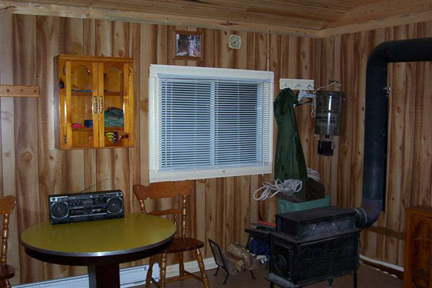 Each cabin is equipped with a mini fridge, bunk beds and electricity. 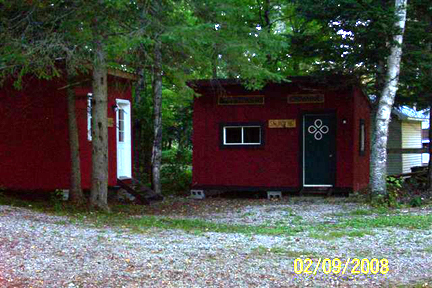 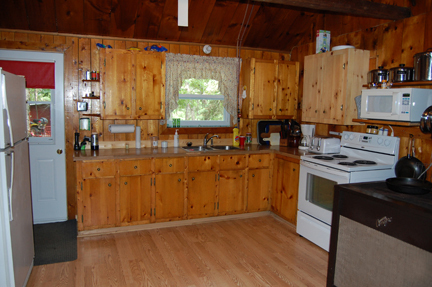 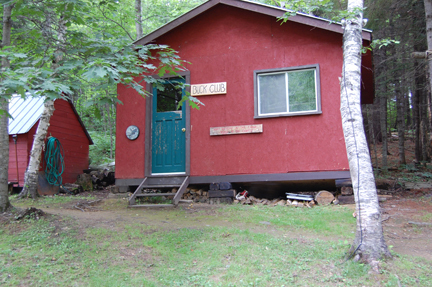 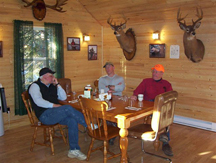 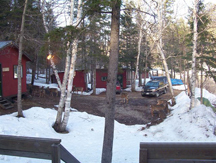 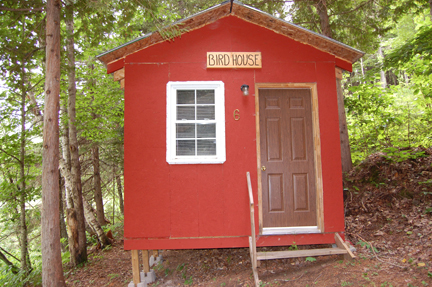 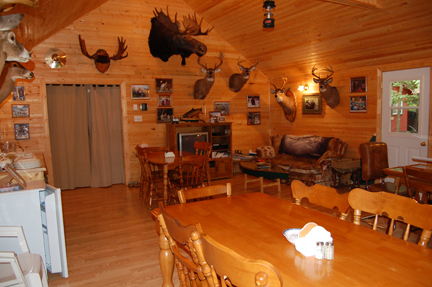 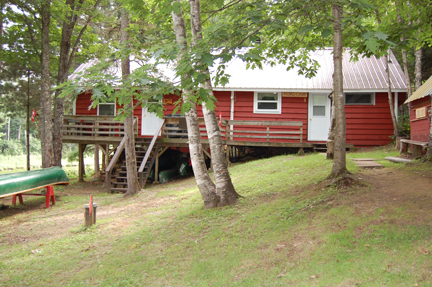 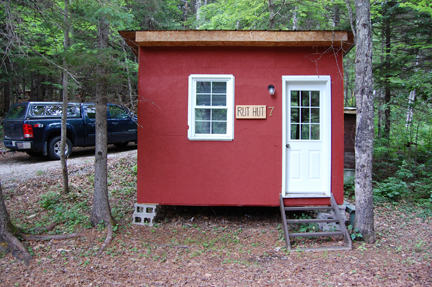 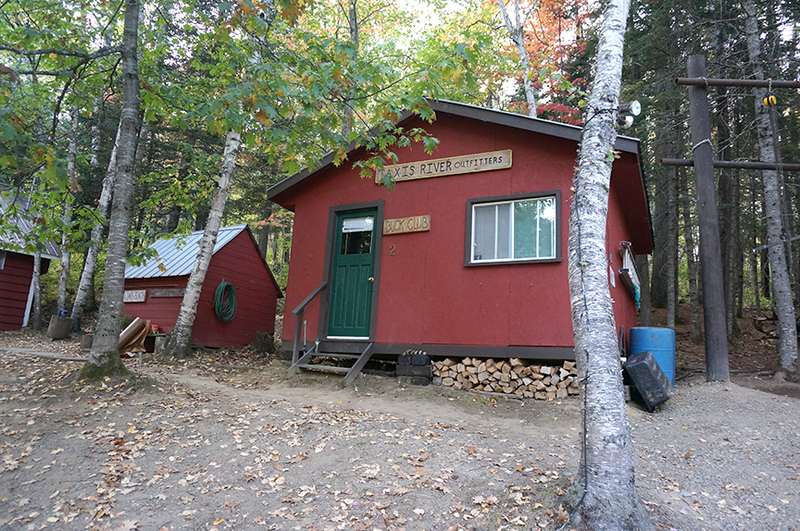 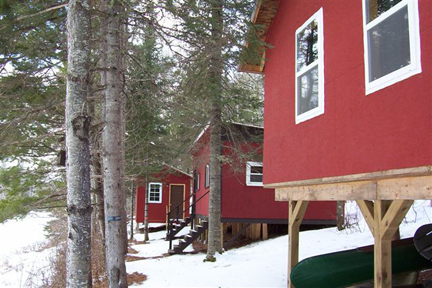 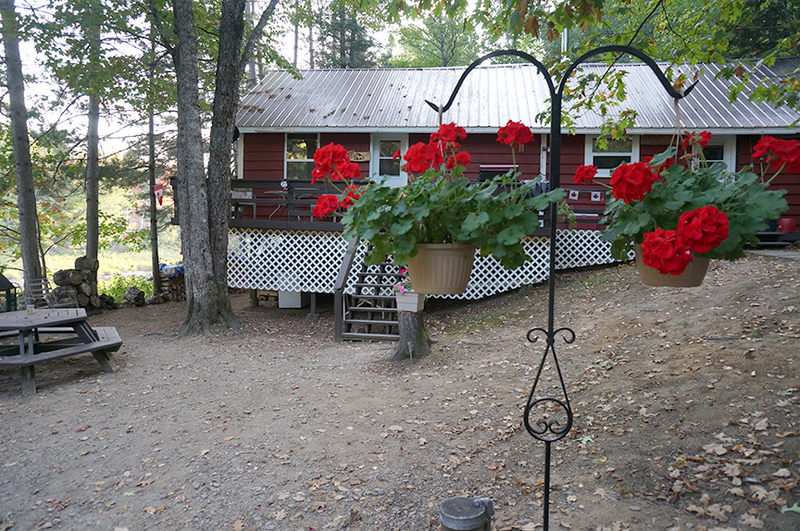 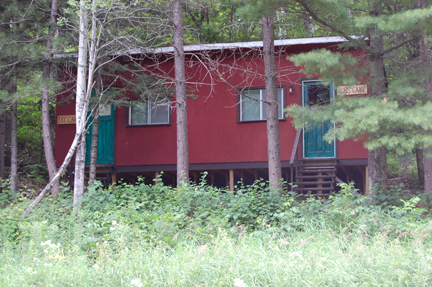 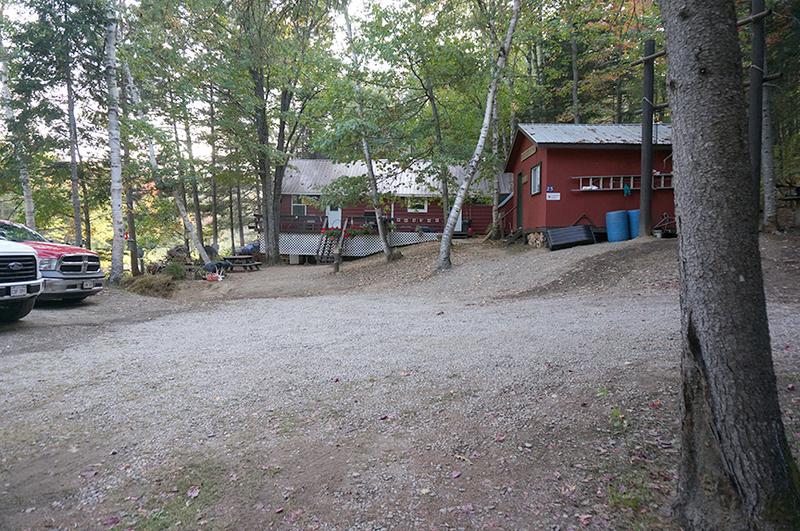 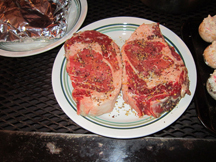 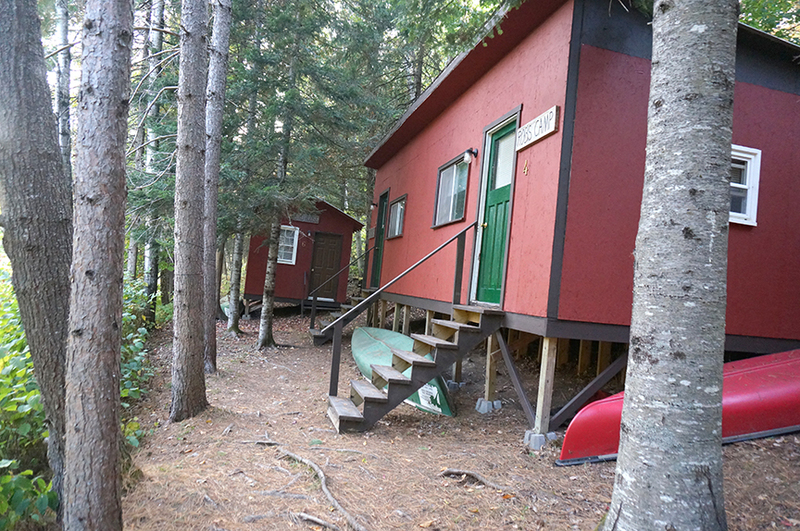 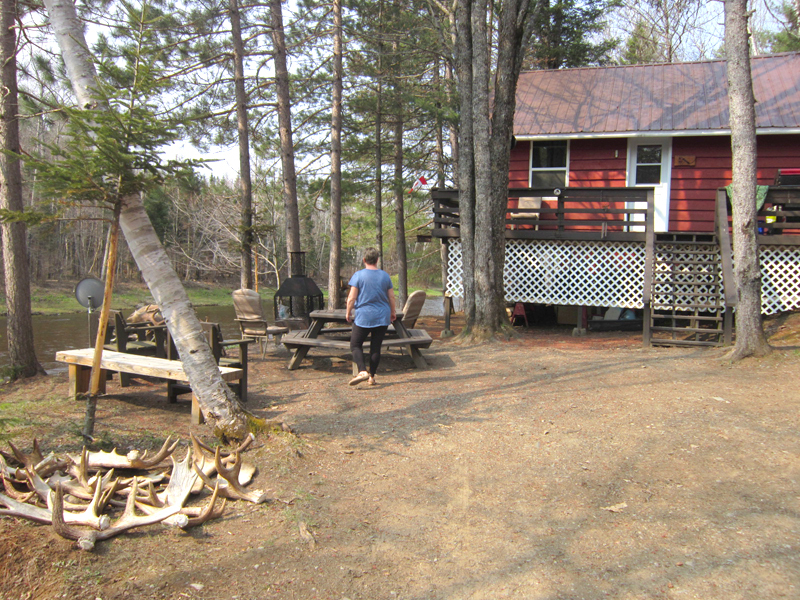 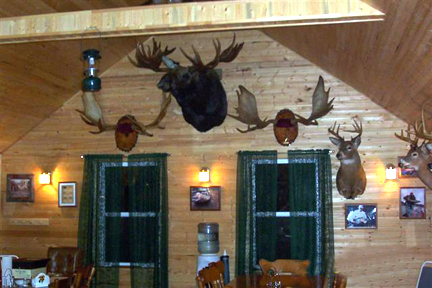 All cabins are from 15 to 35yds from main lodge. 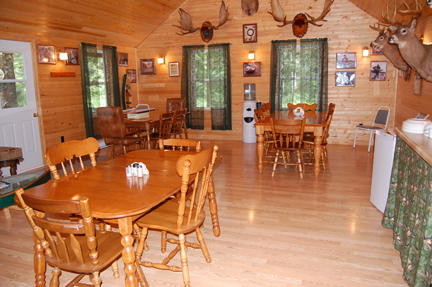 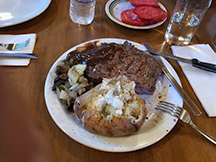 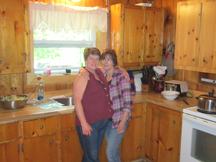 The lodge has power, phones, tv satelite, a dining/lounge area, two full baths and a kitchen where all your meals are prepared by the staff and served to you. 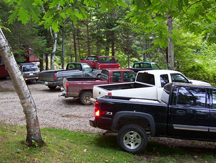 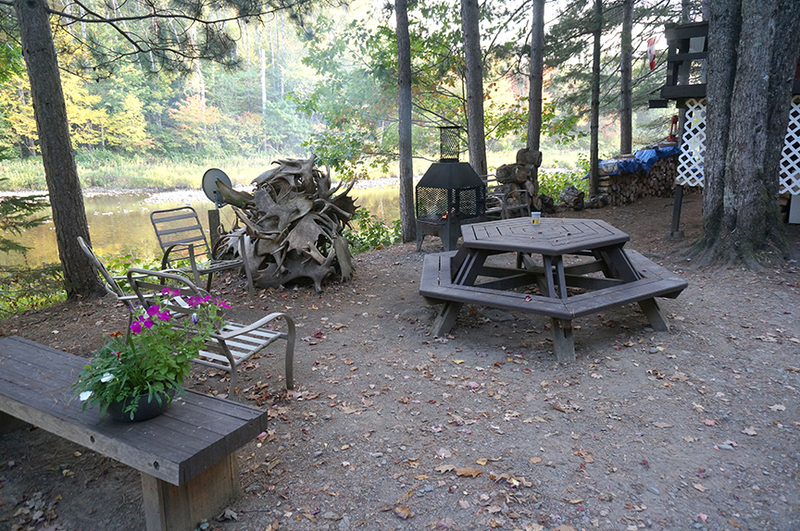 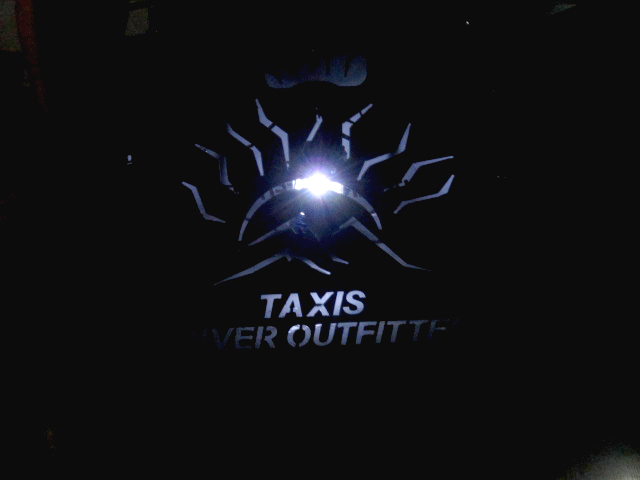 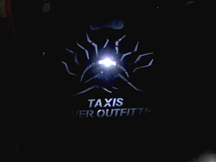 We also have a 48ft x 10ft deck attached to the main lodge with a view of the Taxis River. 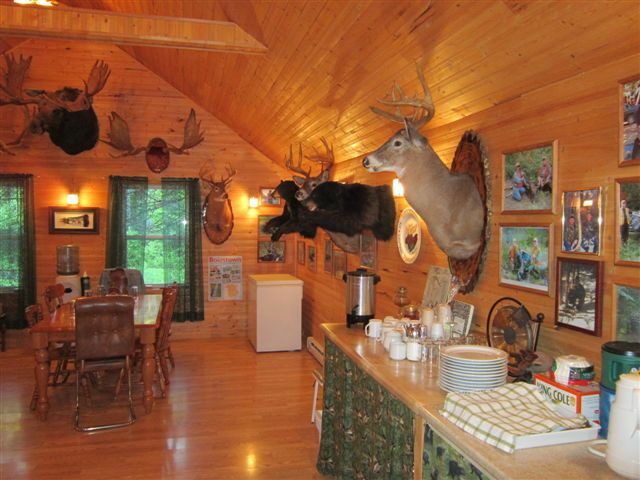 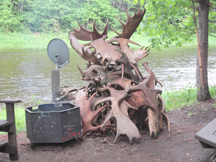 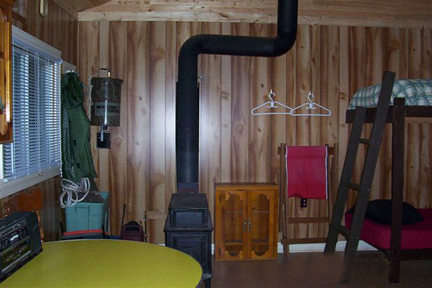 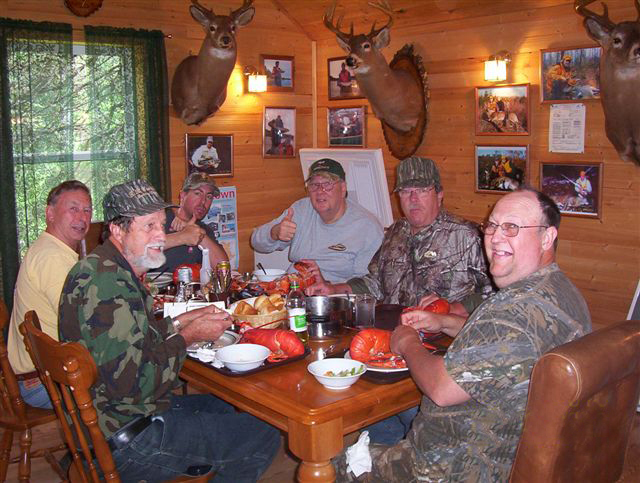 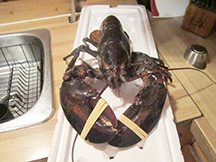 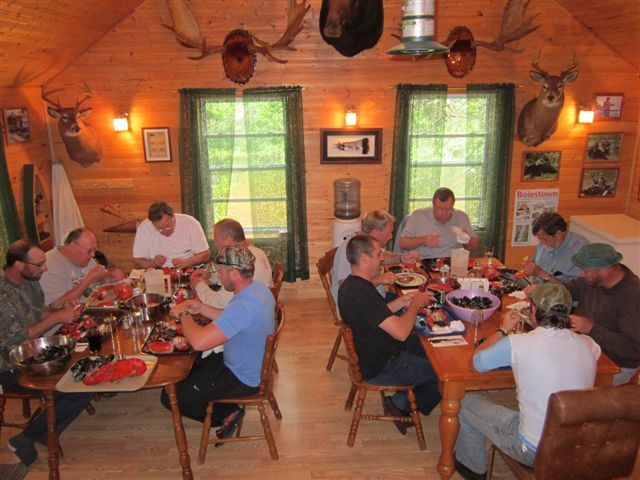 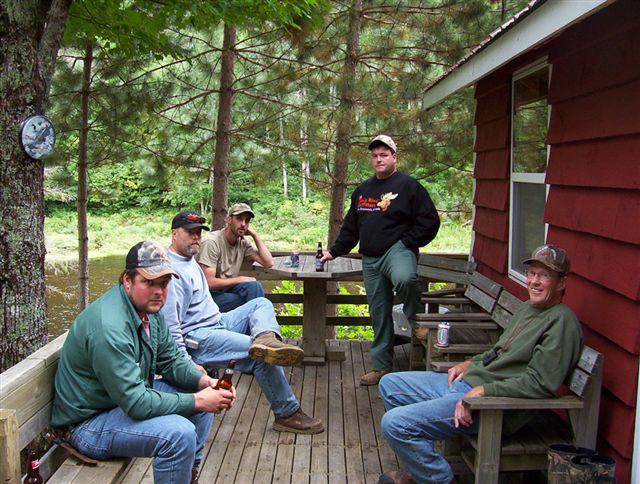 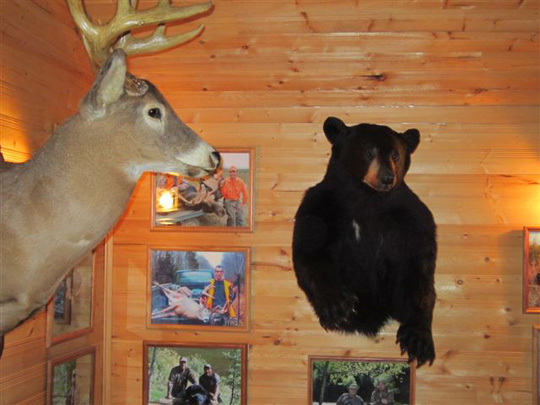 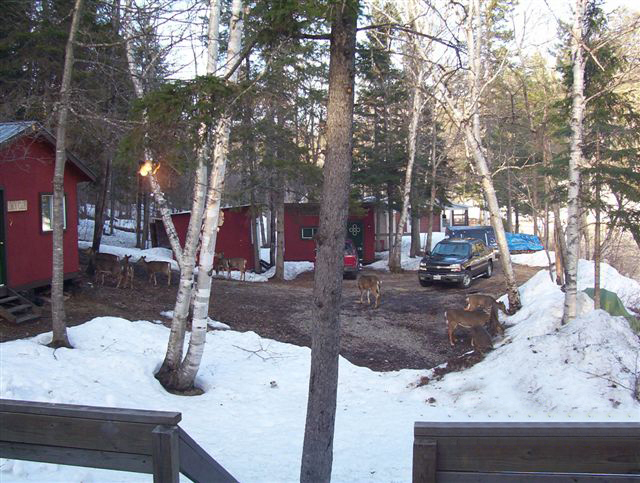 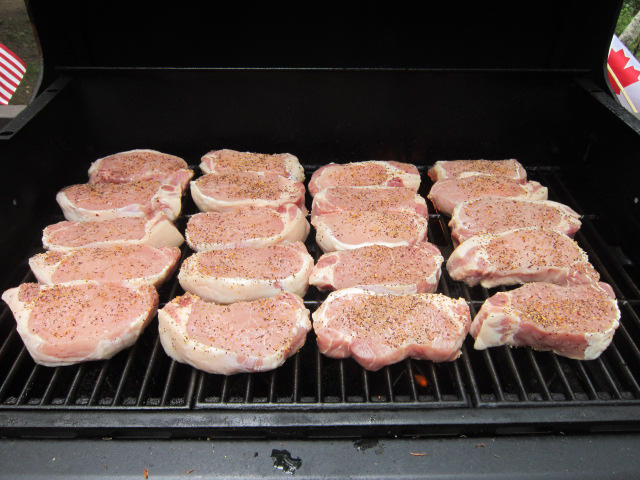 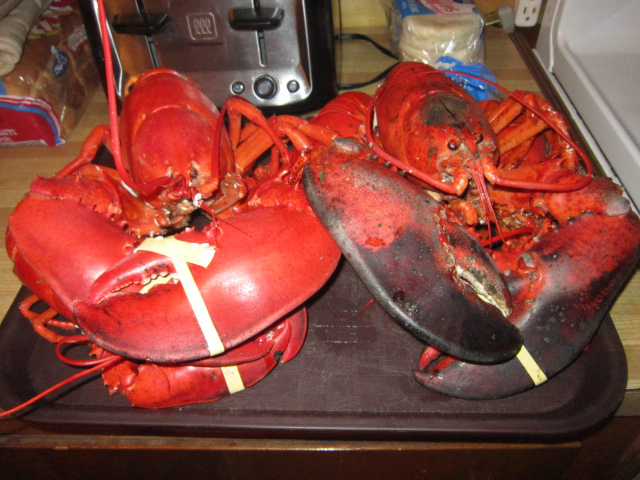 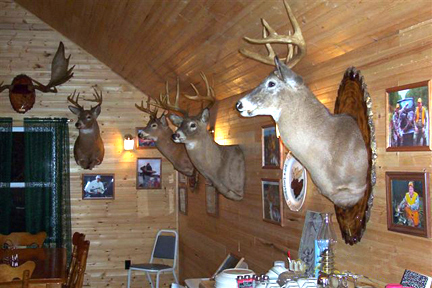 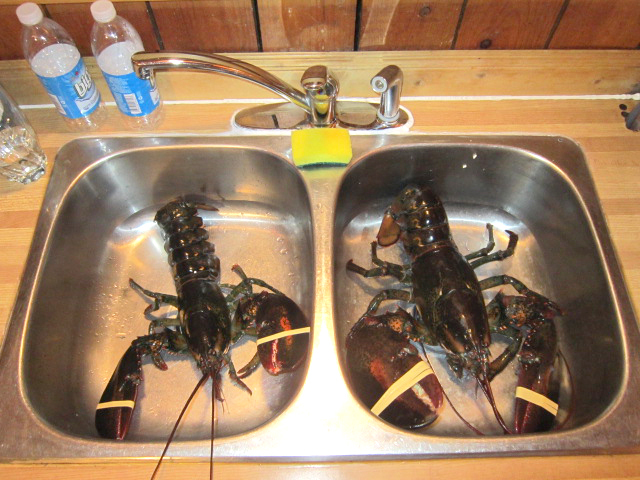 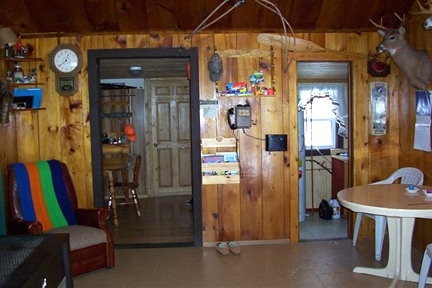 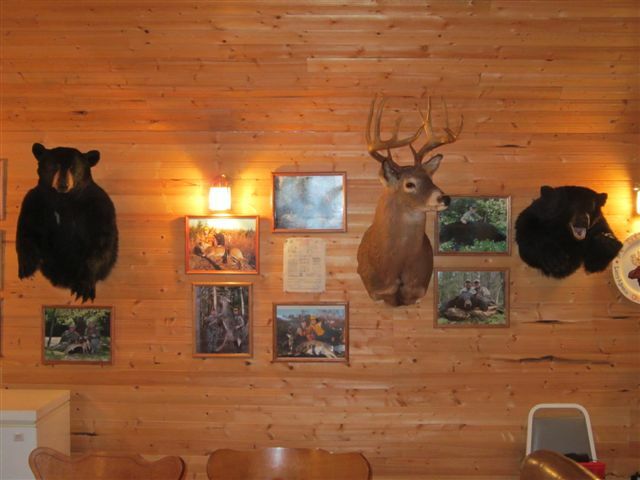 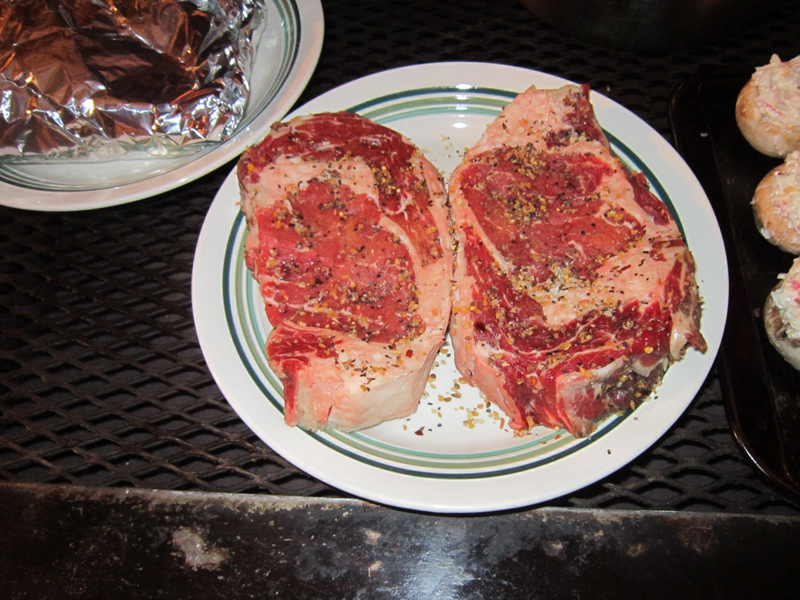 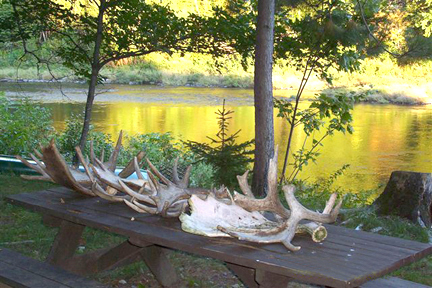 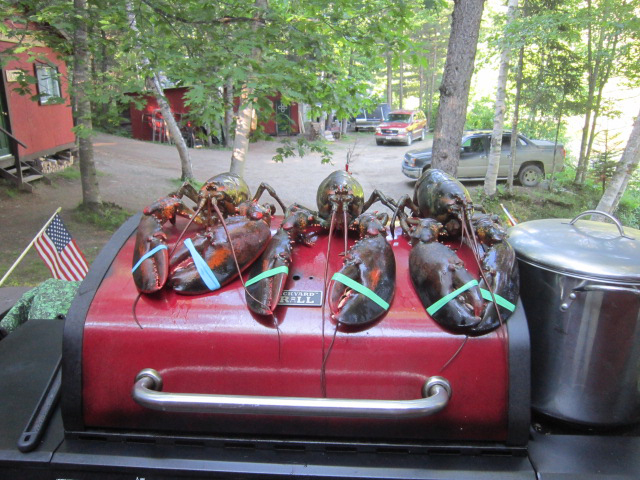 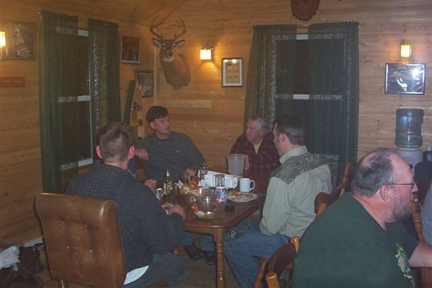 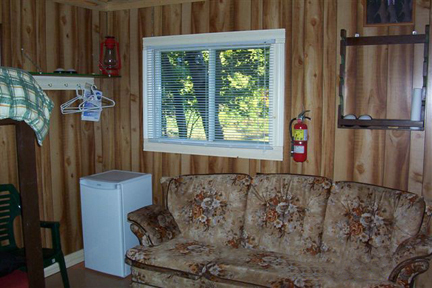 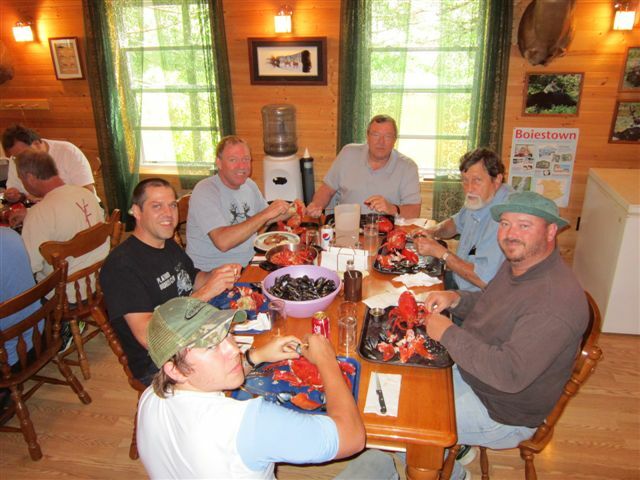 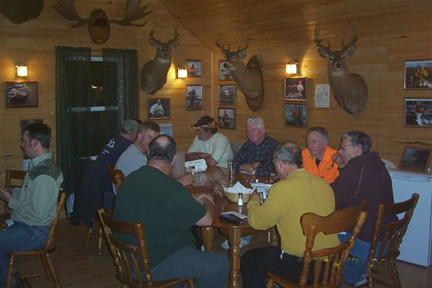 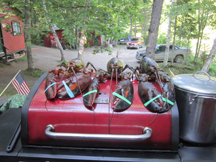 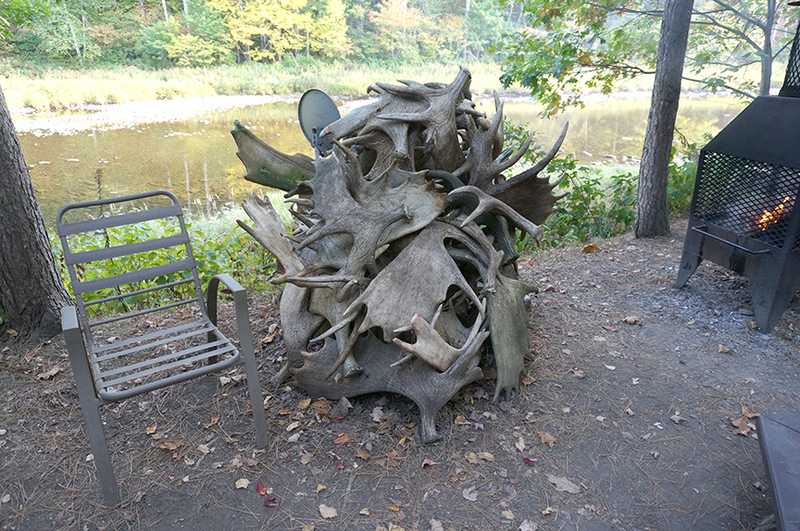 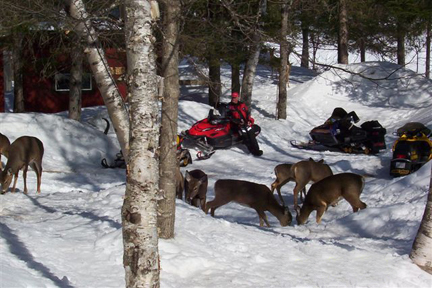 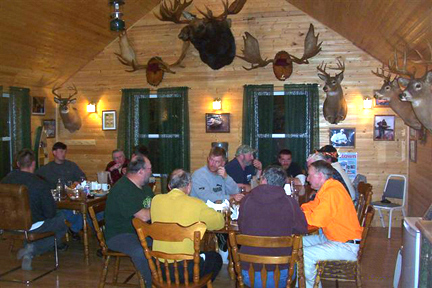 WE DO NOT MIX HUNTING OR FISHING PARTIES IN THE CABINS, YOU HAVE YOUR OWN. 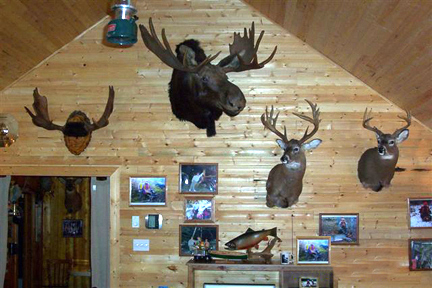 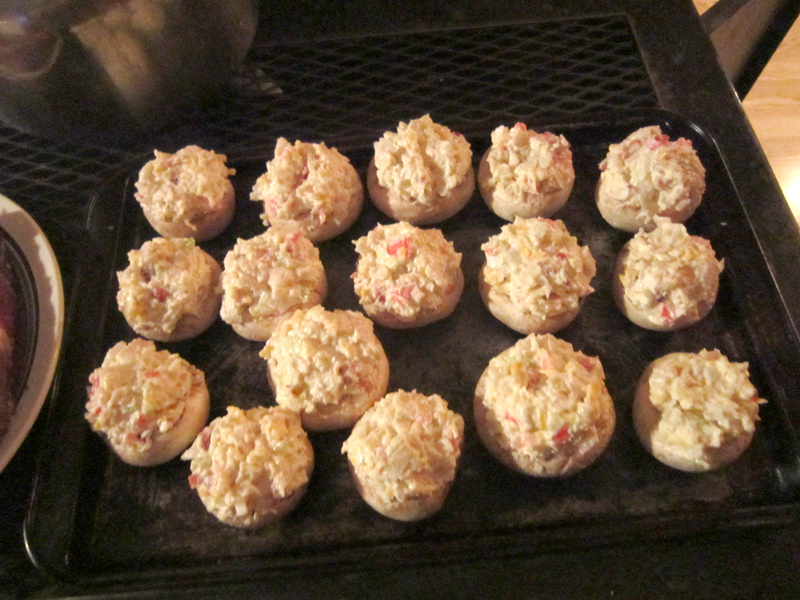 To See a better view of the photos below, click on the one you want to see. 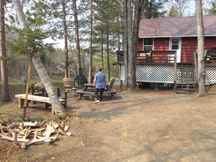 To return to this page click on the back button in your browser.